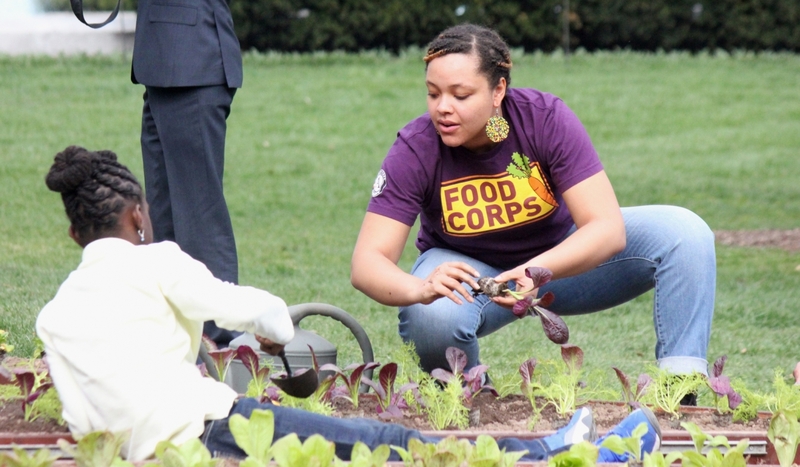 Whitney Smith helps a child in White House vegetable garden. During two terms in the Food Corps, Whitney educated students on gardening, food justice, nutrition and urban agriculture. SHFWire photo by Kritika Gadhvi, 2014. Please join us at Trudy’s home on Monday, November 13 at 7:00pm. The meeting will start with time to meet and greet each other and enjoy refreshments, including wine and non-alcoholic beverages. At 7:30, we will have a brief business meeting. The December Holiday Gala and Tour, fundraisers for the ABC Scholarship, will be on the agenda. Program starts at 8:00pm. Our speaker this month is Whitney Smith, ABC Scholarship recipient and daughter of Sandi Smith, former Indian Village Woman’s Garden Club president. Whitney will discuss “Food and Environmental Justice”. Environmental justice addresses the fair treatment and meaningful involvement of all people in the development and enforcement of environmental laws and policies. Food and proper nutrition for residents of Detroit will be a focus of Whitney’s presentation. 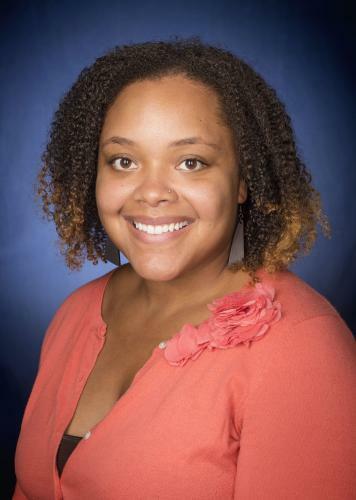 Whitney has a Bachelor of Science in Environmental Studies from Wellesley University and a Masters of Science from the University of Michigan School for Environment and Sustainability. She is presently employed by the Detroit Health Department in Environmental Health. Why did you choose to study Environmental Justice at U. Of Michigan School for Environment and Sustainability?